August 2006: We are building a new home in the charming surfing town of Sayulita, Nayarit, Mexico. We expect to be finished in early 2007. The casa is a beautiful, unique, architectural statement. 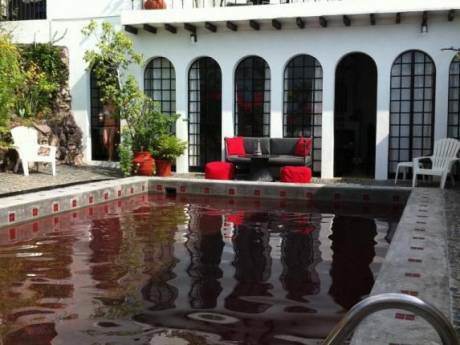 It has an open kitchen/dining/living area that looks out on a guanabano orchard. There is an exterior winding staircase that leads up to two bedrooms and then to the roof which has spectacular views. Each bedroom has its own outdoor shower and balcony. 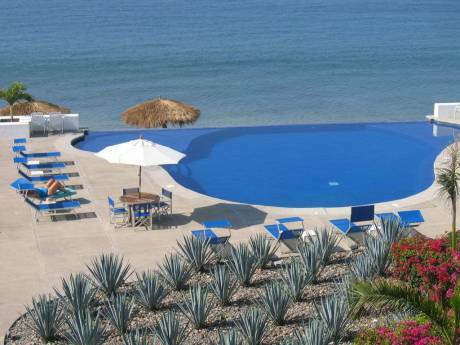 The casa is in the small town about 5 minutes from the plaza and from the famous beach. We are a professional couple looking to travel in Europe, Asia, and South America. 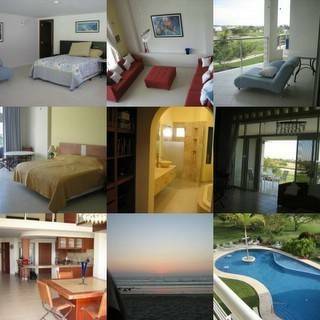 We have no particular schedule and the Mexico house will available whenever we are not there. We would like hospitality for a few days at a time on our travels. In september we are going Spain and Portugal and need accomodations in Sevilla, Granada, Lisbon, Fatima, Porto, Bilbao, San Sebastian (pyrennees), Barcelona and possibly Northern Italy. Sayulita is a small village about 40 minutes from Puerto Vallarta, Mexico. It began as a quaint fishing village in the hills on the ocean. It has become a surfing 'hotspot' and expat community thriving with activity. There are many excellent restaurants, and great shopping as well as countless outdoor activities available. The main beach is a popular surfing/sunning spot but there are several other nearby beaches that are more secluded and tranquil.